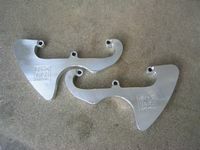 Square fin head guards for EV, California, Sport1100, V11 sport,etc. 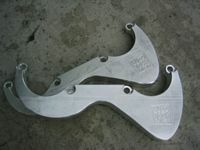 Round fin head guards for T,T3, SP, Convert, LemansI&II, etc. 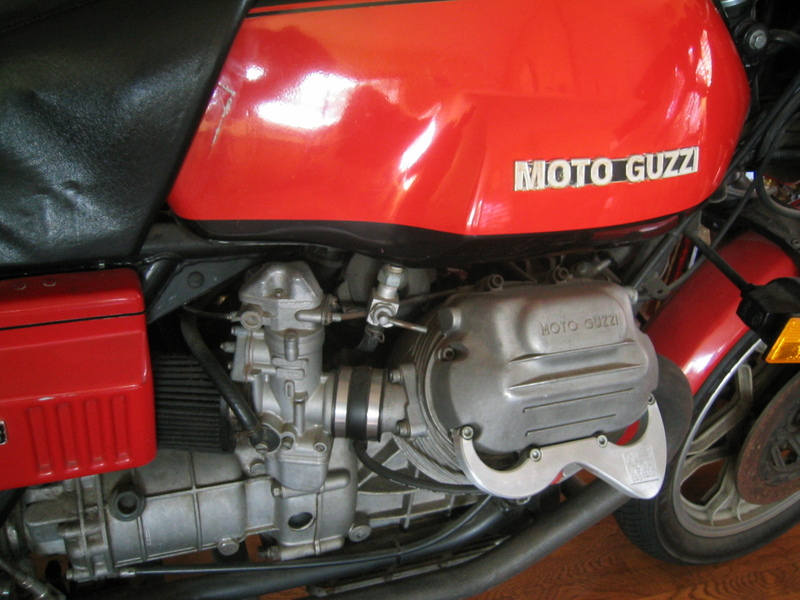 If you're unlucky, you'll end up dumping your Guzzi. If you're very unlucky, your bike will break off the spark plug and cap when it hits the ground (the spark plug is the first point of contact between the engine and ground, by the way...). 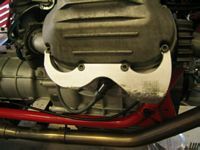 If you're very very unlucky, your bike, now laying on its side, will spill some gas and your now dangling spark plug lead will ignite the mixture. 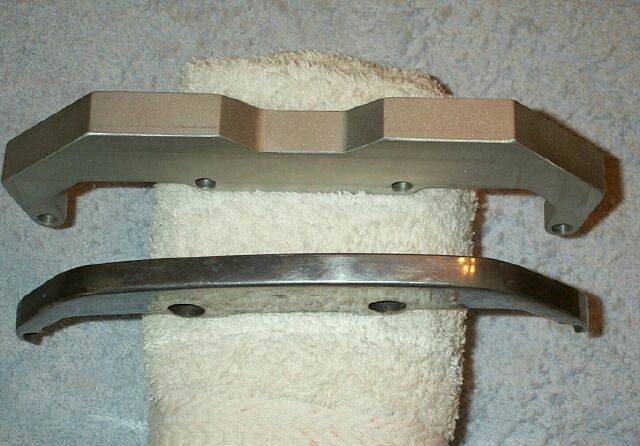 Head guards are cheap insurance. Remember: Luck favors the prepared! 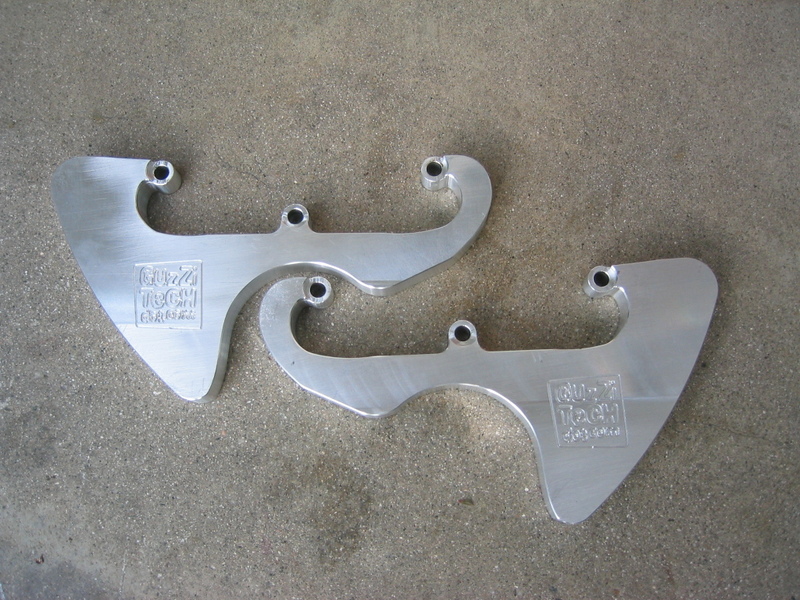 These billet aluminum guards are simply the strongest head guards that you can buy. 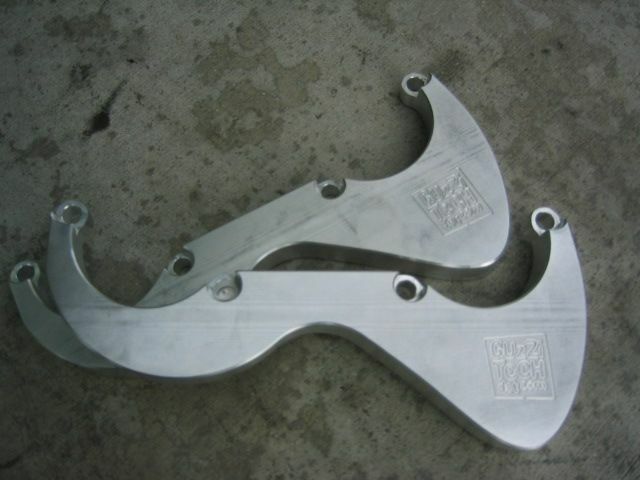 Unlike the stock guards that come with the EV1100 and late model Guzzis, these beautifully crafted pieces will not instantly break or radically deform to the point of uselessness when they contact the ground. 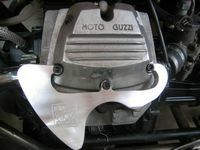 Unlike some other aftermarket head guards, these babies are designed to take abuse! 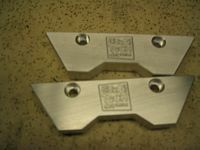 They are much thicker than any other guards that I've seen (15mm to be exact- compare that to the guards that you're currently using). While no product is infallable in every situation, during a run-in with the pavement, these headguards will take the fall and protect your expensive cylinder heads and spark plugs better than any other guards on the market. 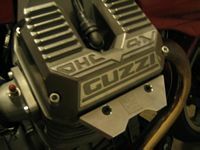 The Guzzi Power logo is CNC cut into the top of each piece. Please contact Ed for overseas shiping rates. 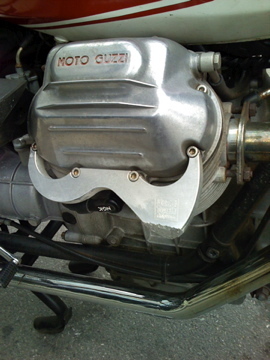 Please specify your Guzzi model. 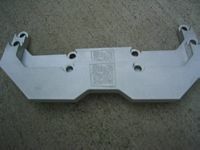 All head guards available with high strength mounting bolts for $5 extra. Please specify your bike model. 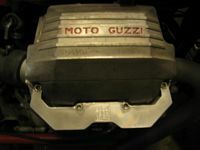 Stock vs Guzzi Power. Need we say more?